The small, close-knit Blue Poppy Dental Care team has one goal in mind: to look after your individual needs. We listen to our patients and get to know them so that we can tailor our approach just for you. Additionally, we’re always challenging each other to make improvements in our patient care. Our weekly meetings discuss all the details, down to individual cases, to make sure we’re doing everything we can for you. Get to know us a little better! Bernie has been in the dental industry for over 30 years. She’s been a dental assistant in general and specialist practices, as well as having worked in dental industry sales. 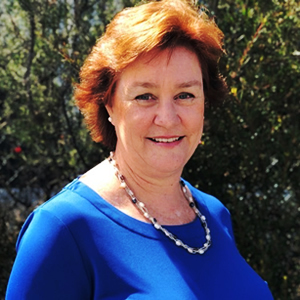 She traveled throughout Canberra and the south coast for several years selling materials to dental practices before taking a break to raise her children. Bernie then returned to sales before starting to teach the dental assistant course at the Canberra Institute of Technology. Bernie’s focus is now on managing our practice and making sure that each of our patients has a wonderful experience. Christina graduated from The University of Queensland with honours. 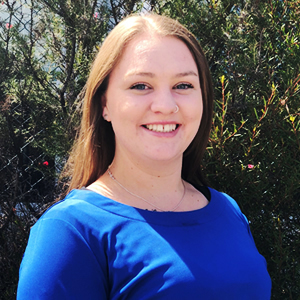 She has worked in both public and private sectors in regional Queensland before making Canberra her home and joining the Blue Poppy Dental Care team. Christina focuses on family orientated dentistry and she especially enjoys having children visit the practice. She loves cosmetic dental work to assist her patients gain a beautiful and healthy smile. Communication skills are one of Christina’s greatest assets and she goes the extra mile to understand her patients concerns and to explain the best possible treatment options to her patients. 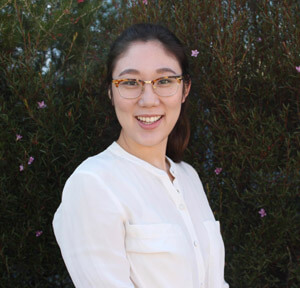 An added bonus, Christina also speaks fluent Korean for any of our clients that this may assist. Christina has a happy nature and goes out of her way to make you welcome and comfortable in the surgery. Outside of dentistry, Christina has just welcomed a new baby boy to her family who is keeping her very busy in her free time. Claudia may be a familiar face to many as she has grown up and attended school in the Tuggeranong Valley area. Before joining us earlier this year Claudia worked for several years in early learning / childcare. She is a natural with children and makes them feel at ease in the surgery. Claudia has enjoyed the change of career and is looking to study the Certificate IV in Dental Assisting to gain the theoretical knowledge of dentistry. Claudia loves to spend time with her family and friends on the weekend as well as the love of her life, her dog Alfie.